The foundation of Tom Mayes Integrated Equine Therapies (IET) is Melding with Equus. 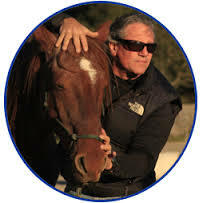 Melding is the connection we make with the horse on a deeper level; a physical, emotional, and energetic level. When connecting with the horse at this level, we are able to move tissue at a deeper level with precision, allowing us to connect with the horse for better training, better relationship, and better riding. For it is inside the core of the horse, the very central aspect of the horse that moves the horse’s body, that makes the decisions to react, to blend, to let us in. Without “Melding”, it would take years of searching to find what this Tom Mayes Method will teach you very rapidly and proficiently. This allows you in the very first class to mobilize organs, soft tissues and bone. Integrated Equine Therapies is a noninvasive, highly effective approach that addresses the core causes of lameness, metabolic and emotional dysfunction. This horse therapy method integrates cutting edge proven modalities such as; Osteopathy, CranioSacral, Applied Kinesiology, Acupressure TCM, Reiki, and Medical Intuition to resolve acute and chronic issues at their deepest level; thereby restoring normal function. By unraveling these physical and energetic restrictions, the secondary or compensatory holding patterns can easily be rebalanced. Healing is more than just “fixing what’s broke.” It’s enhancing the vitality of the whole horse to achieve greater impulsion, speed, suppleness, and a more eager companion. This is where magic happens; where extraordinary results can occur. It is also where the interplay between yin and yang, left and right brain, science and intuition, logic and the heart, can dance. Why Is this Method Integrated? The equine body is highly integrated, composed of many systems working as one. Systems such as circulatory, respiratory, neurology, digestive, endocrine, lymphatic, muscular-skeletal, and meridian all synergistically interacting in a term I call “A Physiological Dance.” If one system is compromised it will affect the whole horse and create diseases. Although anyone with mastery of a particular modality (e.g. chiropractic-spinal, acupuncture-meridian, massage-muscular/fascia) can and do affect a positive changes in the horse. These modalities, however, do not attend to the underlying cause of the dysfunction. Thus the condition returns or develops into a more debilitating state. Any organ imbalance will always cause adjacent and referred muscles/fascia to be in spasm. In fact, it is rare to see even an elite equine athlete, who does not have some movement and spinal restrictions from an organ issue. Clearing organ imbalances will put an edge on performance horses of all disciplines, and create great relief in more severe cases. Common example: A horse with a sensitive back, a weak right hind leg, short forward stride, drags his toe, and has trouble holding his left lead ,and hip and stifle problems This usually presents with a kidney issue. Kidney imbalance will always cause the psoas muscle to be in spasm (hypertonic). The psoas is a major player in pelvic stability and helps to bring the rear leg forward. A constant 24/7 spasm of this muscle can rotate the entire lumbar spine, and rotate the femur medially causing stifle problems to name a few. By re-balancing the kidney, the psoas releases, and normal function is easily reestablished. To delve deeper, the kidney may be in imbalance from acute toxicity, unbalanced riding, poor saddle fit, a renal vein constriction, or even extreme fear. By working with the root cause the horse will remain sound. Horses are highly energetic, intuitive animals who rely on their sensitivity of feel for their survival. 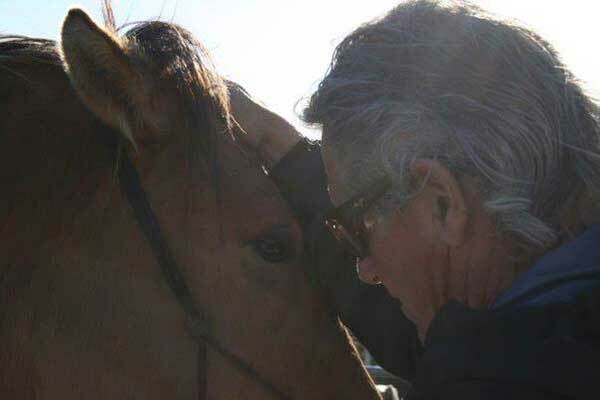 Becoming one with the horse is what all great horsemen have always done in any discipline. If you recall your most enjoyable time riding, it most surely involved being one with your horse. This method allows you to connection with the horses at a deeper level which creates trust. As his body responds, he becomes a willing and active participant in his own healing. Your horse will tell you what’s wrong and what’s right. 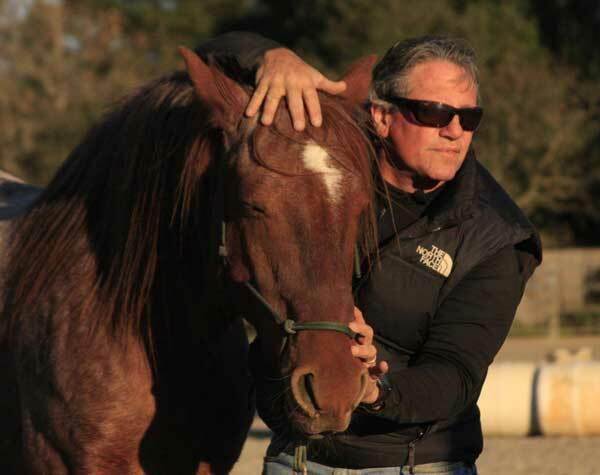 Tom Mayes, Owner, Founder & Creator of Integrated Equine Therapies, has been servicing horses and teaching his signature methods Clinics for over a decade. Areas of practices are Osteopathy, CranioSacral, Applied Kinesiology, Acupressure, and Reiki.